Legally binding – Since faxing works by reproducing documents between two remote machines, it complies with the legal requirements of custodianship, meaning no third party could intercept to the data being sent in the process. Secure – When faxing, any malicious attempt to hinder the transmission and change the data will be detected by either the sender or receiver, which can cause the process to fail. This kind of action makes fax more reliable than email. Assured delivery – With email, you can never be sure whether the other party already received your documents or not, unless they accept it themselves. 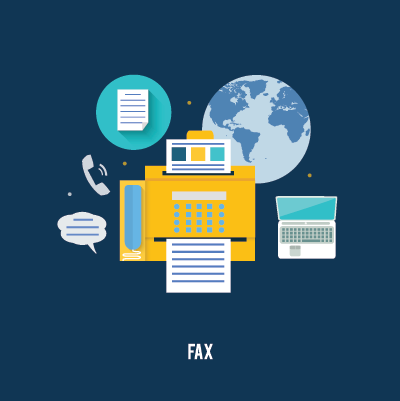 Faxing guarantees more assurance of delivery, because the way it works is that the receiving fax machine is required to acknowledge that the documents were successfully received. Now, there’s a new way to fax documents: Internat fax or online fax service. With this, you can send and receive files over the Internet, instead of using fiber-optic landlines or public switched phone networks. Internet fax is also flexible; it allows you to send or receive documents in either digital or printed format. With HoustonTech’s Internet fax solutions, you can be sure that your business will have an affordable, yet stable online faxing system. For your Internet fax needs, call only the experts— contact HoustonTech today! Our phone number is (832) 919-7100 and we are available from Monday to Friday, 07:30 AM-07:00 PM, to take your call.